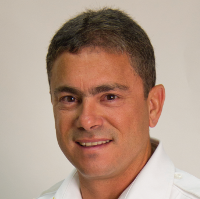 Chief Rosario is a graduate of Hilo High School and received an Associates of Science in Fire Science from the Honolulu Community College and an Associate of Science in Mobile Intensive Care Technician from the Kapi‘olani Community College. He is also an Executive Fire Officer Graduate of the United States Fire Administration National Fire Academy of Emmitsburg, Maryland. Chief Rosario represents Hawai‘i County on the State Fire Council and is a member of the National Emergency Medical Technician Association, International Association of Fire Chiefs, Hawai‘i Fire Chiefs Association, and the Western Fire Chiefs Association. Prior to joining the Hawai‘i Fire Department, Chief Rosario was a member of the United States Army-Hawai‘i National Guard, receiving an Honorable Discharge after 8 years of service.